For the past three years I have been carrying a GPS to log my hikes and a Personal Locator Beacon (PLB) on all hikes where there would be no guaranteed phone signal. These two devices fulfilled the functions required of them however when I was preparing to spend five weeks hiking the Bibbulmun Track I took a long hard look at all of my gear. And I decided it was time for an upgrade. I wanted a single device to fulfil the function of a map/logging device, that could act as a PLB if ever needed, and just as importantly would also act as a two way communications device when my phone was out of range. And I wanted a device that would allow family and friends to follow me in real time online to provide them with peace of mind. Given the above criteria there really was only one device family that fit the bill, at least in Australia, and they were the Garmin InReach devices. 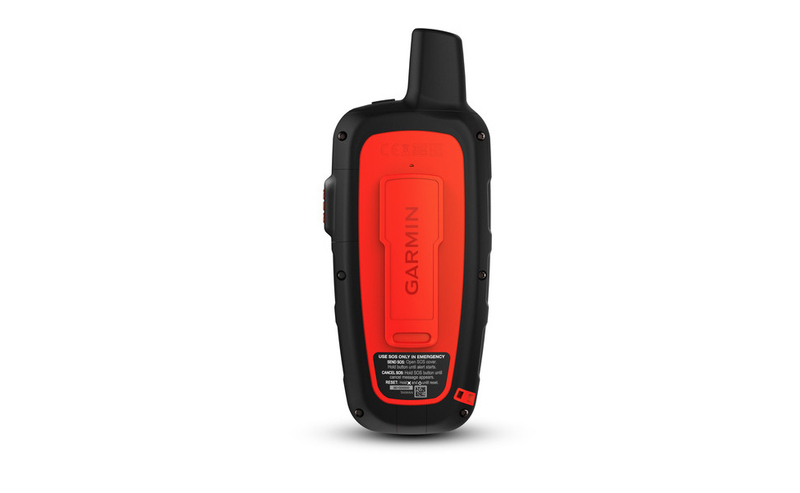 Originally sold as the DeLorme InReach, Garmin purchased Delorme in 2016 and after a period of development released three new devices under Garmin brand. Each of these devices has their own features that fill a particular niche. 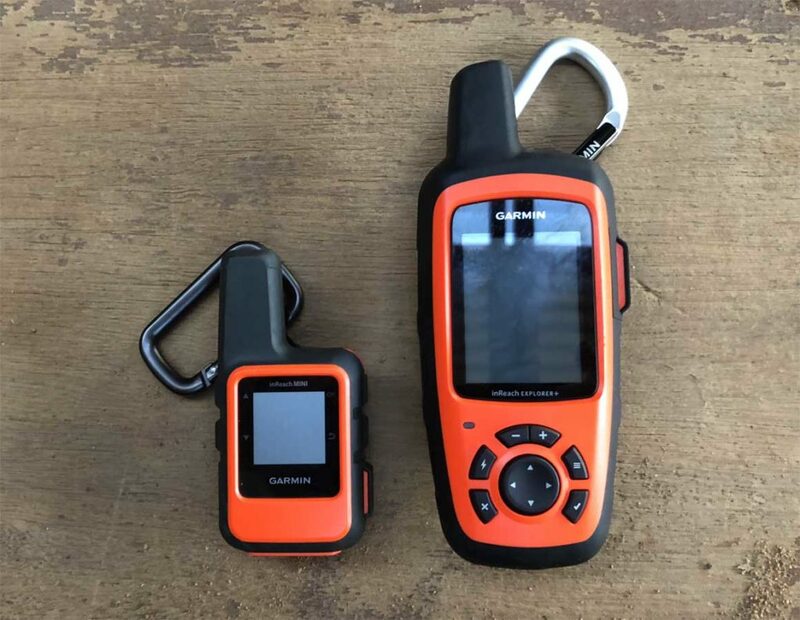 The top of the line unit with the equal longest battery life, equal biggest screen, preloaded topographic maps, built in digital compass and barometric accelerometer. Understandably this is also the most expensive unit to buy. This is essentially a stripped back version of the Garmin InReach Explorer+. 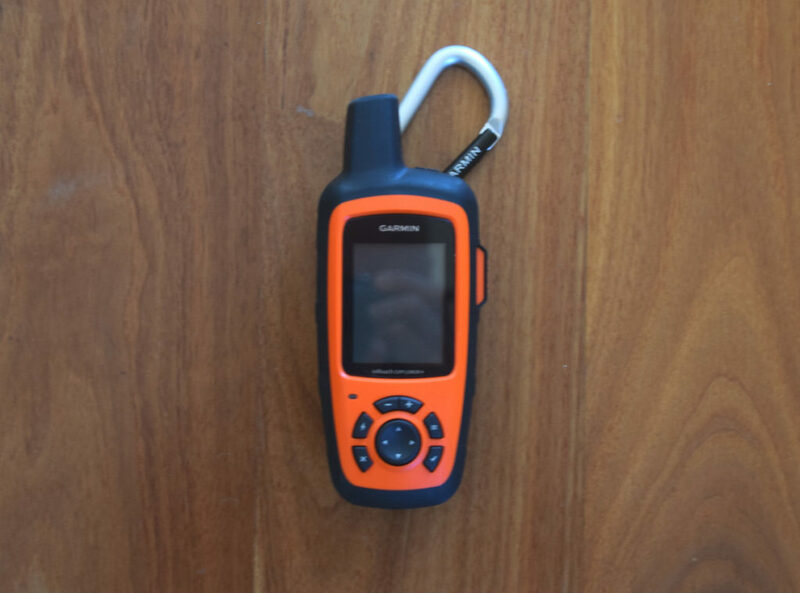 The SE+ has more basic GPS functions and doesn’t come preloaded with topographic maps. If serious mapping is not critical then look at this unit. While still part of the InReach family this tiny little unit has different features to its larger cousins. Given its size it is ideal for when you want an emergency device but in a tiny package. This unit will work as a a standalone unit like its siblings but works best paired with a mobile phone using the phone’s functionally to make up for the tiny screen. It’s the cheapest unit in this range. I wanted a device that would run for as long as possible. To achieve this I turned the tracking function down to the bare minimum which was 10 minute tracking intervals and even though I was using the text messaging function on a regular basis, I was able to use this device for seven days on a single charge without flattening the battery. This took me down to around 25% which is when the device provides a warning that your battery is getting low and to ease up on the messaging. The Garmin inReach Mini lasts 90 hours which is almost as good as it’s larger siblings but for me that is one day less of battery life and enough to be a deal breaker. While I do carry a battery pack to recharge all my devices I needed to ensure that each device I carried lasted as long as possible otherwise I would have to increase the size (and weight) of my battery pack. All the Garmin InReach models can be used as a standalone unit but for those of us old enough to remember the early mobile phones without touch screens, you’ll know what a pain in the neck it was to send text messages due to the massive amount of key strokes required. By pairing these units with a mobile phone you gain all the phone functionality such as easy text message typing and a large screen for navigation. This does rely on you keeping the phone charged and on long trips this may be an issue. I wanted a device that wasn’t reliant on a mobile phone so this ruled the InReach Mini out for me. The Garmin InReach Explorer+ has full GPS functionality and comes preloaded with topographic maps as well as the digital compass and altimeter. So while all three units would have done the job given the features that I wanted, there was only one choice, the Garmin InReach Explorer+. 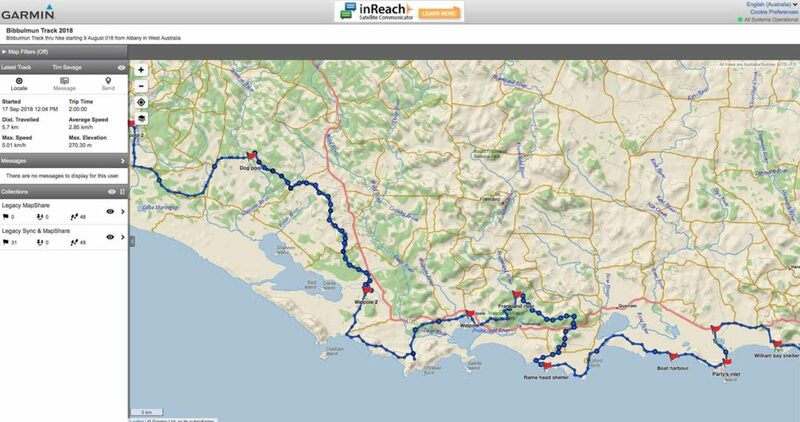 So having purchased the Garmin InReach Explorer+ and having used it for around five months now on a range hikes ranging from just a few kilometres to just over 1000km, how did it go? The battery in the Garmin InReach Explorer+ is a rechargeable internal lithium ion battery. To recharge you can either use a battery pack or plug into a powerpoint. I was comfortably getting 7 days use out of a single charge but this was taking the battery level under 20% which brings up a warning so that you don’t flatten the battery and loose the ability to use the SOS function. A fairly painless process and I decided that given the amount of hiking I was doing, the annual plan was the way to go for me so I opted for the Recreation Plan. This plan gave me 40 text messages (160 characters) a month, unlimited preset messages, unlimited tracking points, basic weather (which counts as one of your text messages) at a cost of $40.00 AUD per month on an annual plan (billed monthly). The cost of purchasing the unit was $679.00 AUD. The annual cost of my plan (without overspending on text messages or premium weather) added $480.00 AUD. I could have gone for a cheaper plan (the Safety Plan) which would have been half the price but given my text usage, this wasn’t economical. This is where it is worthwhile thinking about how much hiking and messaging you are going to be doing to ensure you get the right plan. There is also an option to pay only for the months that you need which would work out well for those hikers who may only do one or two longer trips a year. Again with the ‘as needed’ Freedom Plans plan you need to be sure of what your likely usage is going to be as there comes a time where choosing an annual plan becomes a better option. I know this is a stereotype but as a typical male I’m not into reading instruction manuals preferring to work out how to use things and only reverting to manuals as a last resort. 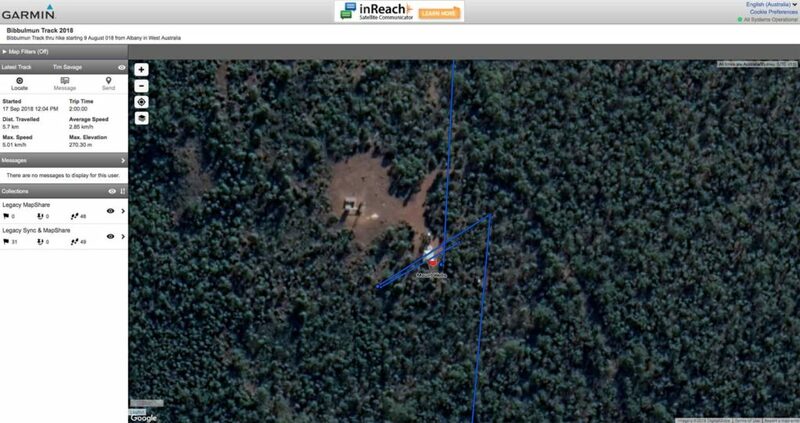 In using the Garmin InReach Explorer+ for the first time that’s exactly what I did. Even for people not used to using a GPS this unit is relatively easy to understand and I managed to get it set up for what I wanted. My main criteria was long battery life so I set my Explorer+ up to log way points at 10 minute intervals which meant that my distances weren’t going to be as accurate with a much smaller timeframe. I also set up my sending interval (how often the way points are uploaded) to 20 minutes to again preserve battery life and this meant that the online map which was sharing my location to the world was potentially showing a lag distance between zero metres to 2 kilometres. A set up a link with my iPhone 8 via the use of Garmin Earthmate App which is free to download. My main reasoning here was to type my text messages on my phone rather than using the Garmin itself which can be a bit painful due to the huge number of keystrokes. Set up also allows you to choose from a number of sounds and tones. The Explorer+ comes with a carabiner clip and I found that clipping this on to a loop on the top of the shoulder strap meant I could easily access it, could easily hear when I received a message and it didn’t bounce around. Messaging via the unit itself could either be done with a series of preset texts via the Iridium satellite network. Messaging can either be an email or an SMS message and be freeform text message up to 160 characters or if you want, you can use one of the preset messages such as ‘Pick me up here’ or ‘Starting my trip’. I must admit I don’t use the preset messages even though they don’t count towards your monthly allotment. I do prefer to use my phone to send messages as its so much quicker and only requires me to take my phone off flight mode for a couple of minutes at a time which greatly conserves the battery power. The big plus here is that the Garmen Explorer+ is a two way system. The unit chirps at you to tell you the message has been sent and providing the receiver isn’t asleep or busy I would usually get a response within minutes. Over my five week Bibbulmun Track hike there was only one occasion when my message didn’t get through and at that time I was in a tent at the bottom of a heavily treed valley and it was raining. The ability to let my wife know I was OK and to hear back from her was worth the purchase price alone. One way messenger devices such as the SPOT Gen 3 lack the two way ability and the newly released SPOT X is (not currently available in Australia) doesn’t have the required on-ground infrastructure for text messaging. Thankfully I have never had to use a PLB device for either myself or for others but I love the idea of setting off the emergency component of this unit and having the call centre which is located in the USA, responding back with an approximate time (see below) as well as keeping in touch with your emergency contact as well. The issue with emergency services is that they may not get to you for a number of hours and having an idea of how long that will be is a great feature. Garmin has an online mapping system called MapShare. As the unit owner you have the ability to share your trip with a small number of selected people that you choose or the whole world. 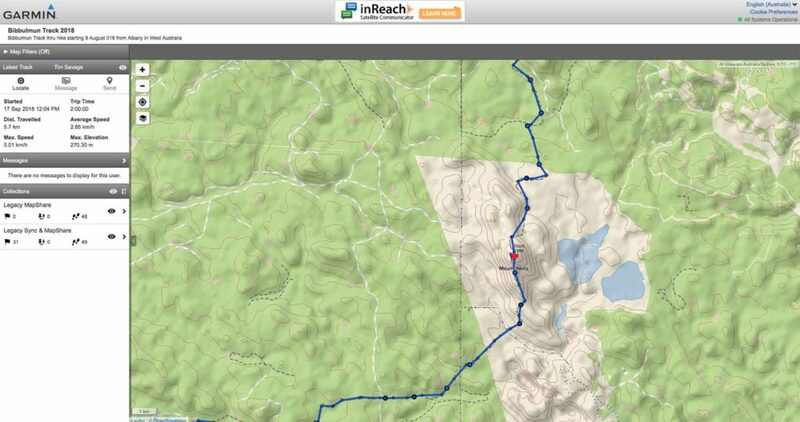 Depending on the setting you choose for uploading your waypoints, this online system will show where you are almost close to real time so family and friends can follow along with your journey at arms length. From my end I don’t tend to use this system as its usually my family following me. My wife informed me that this was the best feature. Being able to zoom in to 10 metres to ‘see’ the terrain and vegetation through which I was travelling provided a great sense of comfort and ‘being there’. Running a hiking blog I opened this system up to anyone who chose to follow me although I still set a password which I posted on Facebook. I was surprised on one day when another traveller approached me and it turned out it was someone who knew me and had seen where I was and came out to meet me on the trail. I’ve fallen in love with this unit and while the cost may be prohibitive for many people, it is great value and well worth considering if hiking is more than just the occasional hobby, and particularly if you are into remote solo hiking. As I write this article, the Garmin InReach Explorer+ is my most expensive piece of hiking equipment. 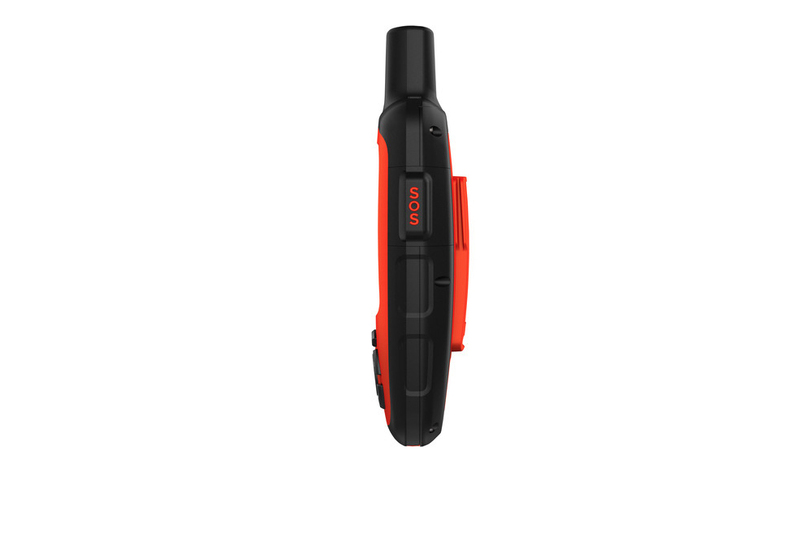 However this device combines the functions of a GPS as well as a PLB so the price is not as expensive as it first appears and given all that it does, its a piece of gear I wouldn’t do without. Your subscription fees can either be on a plan or moth to month. You choose!